PDF version – best version for viewing and printing. Web viewable version – for people who do not have PDF software. 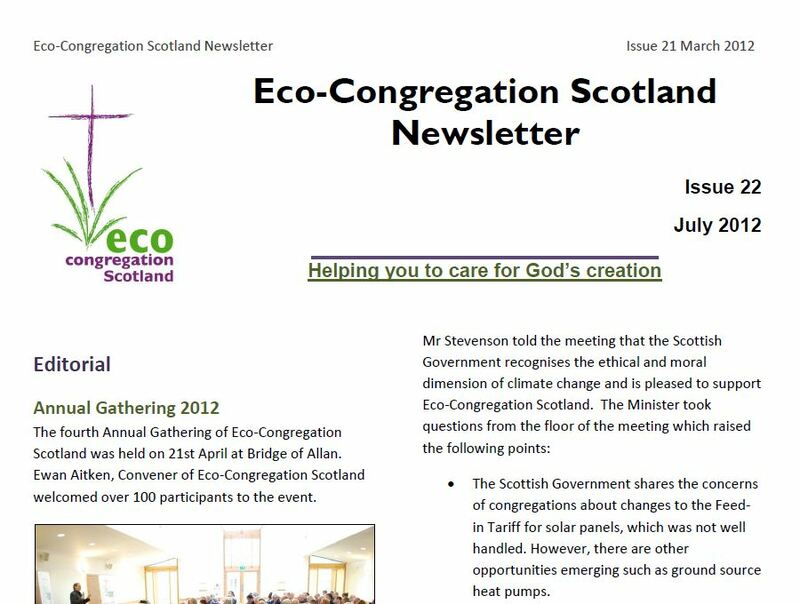 The newsletter includes a report from our annual gathering and news from eco-congregations around the country. We welcome articles and news for the next edition. Please pass it on to anybody you think might be interested.